Sister Nirmala Joshi, who had succeeded Mother Teresa as the Superior General of the Missionaries of Charity in 1997 passed away around midnight June 23. She was 80. The nun has been suffering from a heart ailment, The Indian Express reported. Her remains will be kept at the Missionaries of Charity headquarters in Kolkata until her funeral on June 25 afternoon. The Missionaries of Charity under Sister Mary Prema Pierick’s lead since 2009 continue to care for the homeless and dying in Kolkata. The congregation that began as a small community with 12 members in Calcutta currently has over 4,500 Sisters running orphanages, AIDS hospices, charity centres worldwide, and caring for refugees, the blind, disabled, aged, alcoholics, the poor and homeless and victims of floods, epidemics and famine in Asia, Africa, Latin America, North America, Europe and Australia. After Pope Paul VI granted in 1965 Mother Teresa’s request to expand her congregation to other countries, it established its first house outside India in Venezuela. Others followed in Rome and Tanzania, and eventually in many countries in Asia, Africa, and Europe, including Albania. The first home of the Missionaries of Charity in the United States was established in the South Bronx, New York. 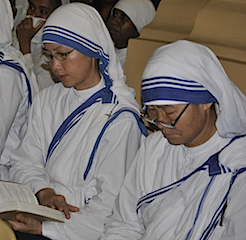 In the USA, the Missionaries of Charity are affiiated with the Council of Major Superiors of Women Religious, a body of female religious, representing 20 percent of American nuns. By 1996, the congregation was operating 517 missions in more than 100 countries. Today, more than one million co-workers and donations from ordinary people reportedly support the group. 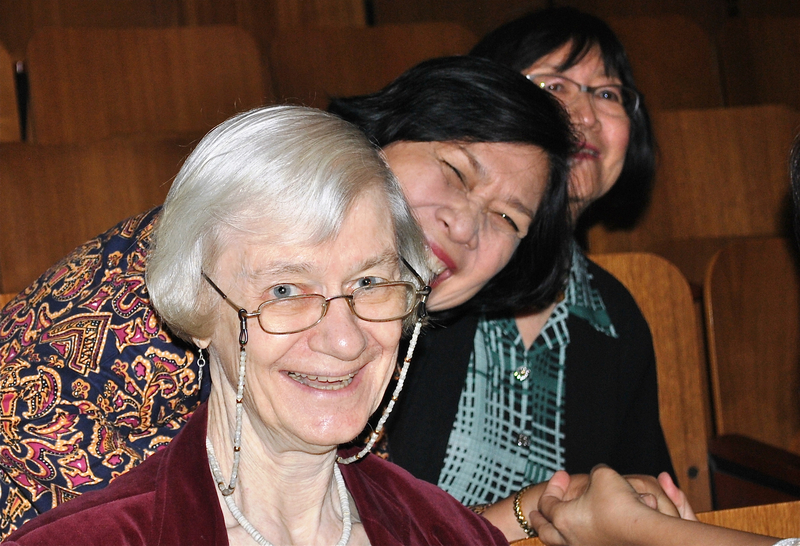 In the Philippines mission, 53 foreigners and 50 Filipinas are among some 138 members a Catholic Directory published by Claretian Publications reports.. Six are contemplative sisters. 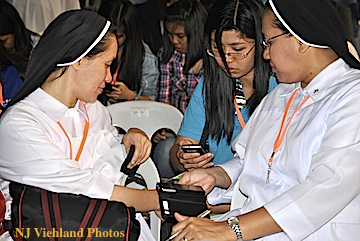 Some 116 Filipinas are serving abroad, and the rest care for sick and malnourished children and destitute adults in centers located in five archdiocese and eight dioceses around the country. 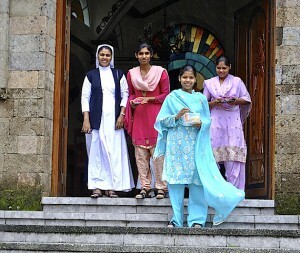 Sisters of Charity of Nazareth are among 15 women religious congregations, most of them based in India, engaged in various ministries in Nepal. They have all survived the quake and have joined relief work. What exactly are the Nazareth Sisters doing and who are other India-based communities of religious women who were serving in Nepal when the 7.9-magnitude earthquake shook the country on April 25 killing more than 5,000 people? As home of the world’s main religions, Asia has been the font and source of mysticism. The ancient continent’s celestial heights, expansive deserts and sprawling wilderness whetted early Asians’ yearning for the sublime. This search inspired varied forms of ascetic life in Hindu, Jain, Buddhist, Judaic, Essene, Christian, Islamic, Zoroastrian traditions. As reminded by the current Lenten season, the habitat-related search for the divine is nothing new to our own faith tradition. Moses’ Sinai trek, the Baptist’s desert sojourn, and Jesus’ withdrawal both to the wilderness and to Tabor are links in that chain of mystic spirituality. The Catholic Catechism’s claim that “Religious life was born in the East during the first centuries of Christianity,” affirms the continuity of that search by early mystics such as Saints Anthony and Melania of Egypt. The Desert Fathers’ and Mothers’ lifestyle of contemplative and self-purifying spirituality paved the way for a Christian monastic tradition. Religious communities grew when holy solitaires fraternized for more effective search and service in and through wider society. Contemplatives’ ascetic role in the Christian community, however, was in no way diminished by the birth of proactive Religious Orders in Europe or even gradual dominance of ordained ministries. Rather, the contrary seemed to be true at least in Asia where, despite canonical definition of some Religious as lay groups, laypeople always had higher esteem for unordained Religious than for diocesan clergy. 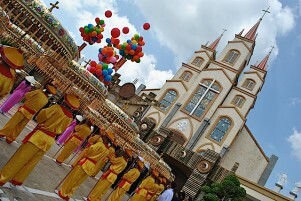 Such reverence for consecrated persons is rooted in Asian cultures, where people value holiness of life over the liturgical ministry of sacramental service. Such esteem was the secret behind the success of revered missioners such as Matteo Ricci, Roberto de Nobili, John de Britto, Costanzo Beschi, Mother Teresa and Joseph Vaz. Except for Vaz, the others were Europeans. Nonetheless, they assimilated the essentials of Asian spirituality and won people’s hearts by holiness of life and witness. The world still looks back with nostalgia to their ascetic life, which radiated the spirit of Asian sages, swamis and gurus. Had local Religious too grown in such spirituality, they could have furthered the Asian awakening pioneered by revivalists like Swami Vivekananda, Mahatma Gandhi and Sun Yat-sen.
At the turn of the century, the Asian Synod acknowledged that, “In the numerous religious traditions of Asia, men and women dedicated to the contemplative and ascetic life enjoy great respect and their witness has an especially persuasive power.” But amid a whirlpool of canonical and ritual implications impacting Religious life in the post-modern West, precious little was done to let the synod-affirmed power of witness flourish in the service of Asia. And it is still not too late for Asian Religious to explore the stalled vision of above-named pioneers in a renewed search for new modalities of holiness and holy activism to meet today’s needs. 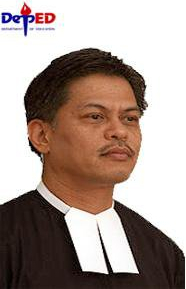 Take for example, the current pastoral setup in many Asian countries where vagaries of the public square and diocesan prescripts inhibit even well-meaning pastors from any prophetic role. In such a scenario, community-supported Religious will be at greater liberty to engage in prophetic roles of furthering the good-news ministry by denouncing and challenging market-enslaved consumerist cultures. 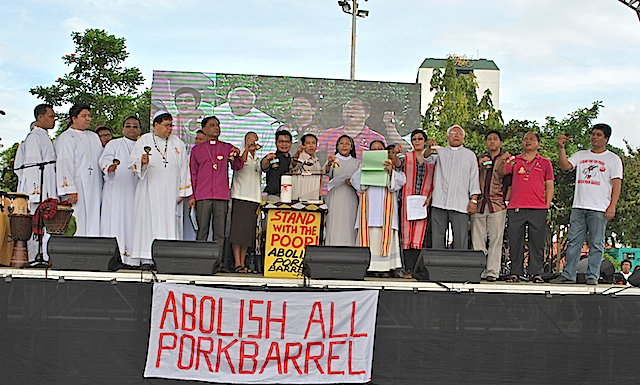 The revival of grassroots groups such as the Federation of Free Farmers in the Philippines or the Catholic Farmers’ Association in South Korea or networking people-welfare groups in Bangladesh, India, Malaysia or Sri Lanka on an ecumenical level can be timely challenges for today’s Religious. The lead taken by some individual Religious to volunteer as English teachers in China has much potential as a base for youth apostolate. The fast growing milieu of social media should challenge today’s Religious to discern creative outreach through the blogosphere and the virtual world that coral an eclectic phono sapiens generation. Religious should find providential role models in the earlier named pioneer missioners who on their own initiative ventured out of the beaten track even at the risk of being considered freaks by their own institutes. Fired by deep faith, they dared to discern contextual charisms for service, not for self-glory. Today’s Church woefully needs more of such men and women with pastoral wisdom and prophetic courage to venture beyond confines of juridical carapace. Additionally, would AMOR and its local arms look beyond the juridical ebb and tide, and encourage Religious to venture out in Gospel witness even in traditional mission fields? For example, missioners from Islamic countries like Indonesia and Pakistan may better suit the needs of Central Asian cultures than missioners from elsewhere. Such missions may also help renew the apostolic energies of those Religious crucified by administrative overkill. On a lighter note, such re-missioning may even help resolve the ennui-syndrome driving Green-Card-seeking “missioner” outflows beyond the Atlantic. This attempt to discuss some challenges to Religious would be incomplete if it fails to voice their muted challenge to Mother Church. After all, as sons and daughters of today’s Church, Religious too are part of fallible humanity. Like all laity, clergy and bishops, they too are part of a sinful world striving for perfection. Having dared to pursue that search through service to society, they challenge the Christian community with a plea for prayer and understanding. A timely Lenten mission! 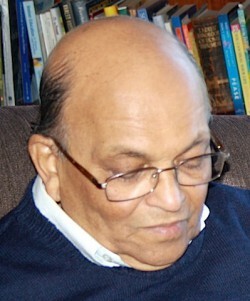 Hector Welgampola, welgampo@gmail.com Veteran Asian Church journalist Hector Welgampola from Sri Lanka has retired as Executive Editor of the former Union of Catholic Asian News (UCAN) based in Hong Kong, then Bangkok. Before UCAN, Hector headed editorial teams of newspapers in Sri Lanka. Since retiring Hector has lived in Australia with his wife, Rita. He authored the resource book Asian Church Glossary and Stylebook. Colombo, SRI LANKA – The People’s Movement against the Port City Project, including nuns and priests marched in protest today from the Fort Railway Station to Gall Face Green urging the government to ban the project, Sri Lanka’s Daily Mirror reported. 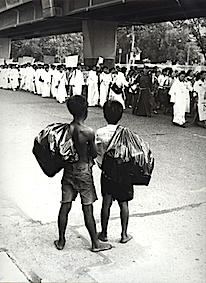 Some nuns stood along the sidewalk holding placards while fellow sisters marched on the road with priests, Buddhist monks in saffron robes, environmental activists, and other protesters. Priests spoke with police officers, but the police stood firm face to face with the nuns and stopped protesters at the World Trade Centre. Some groups continued protesting sitting down. Sri Lankans, including government officials, have expressed concern about the environmental impact of the 1.4 billion dollar Chinese-funded ‘Port City’ on reclaimed land next to Colombo harbor. nation.lk online newspaper quoted Eran Wickramaratne, Deputy Minister of Highways, Higher Education and Investment Promotion at a recent event in Colombo citing issues with of water, transport and sewerage. He also warned of possible water scarcity for the future residents. Wickramarante reportedly noted that with 300,000 people or half the population of Colombo living in the 500 acres of land of the port city, the present sewerage system of nearly 200 years old would not be able to hold or carry waste from such a population. “Stop Port City Immediately!” read the streamer carried by marching nuns. Quezon City, Philippines -Task Force Detainees of the Philippines (TFD), a mission partner of the Association of Major Religious Superiors in the Philippines (AMRSP) capped its 40th anniversary celebration with the First Sister Mariani Dimaranan, SFIC Human Rights Defenders Awards at University of the Philippines, Quezon City, on Tuesday (Feb. 24). 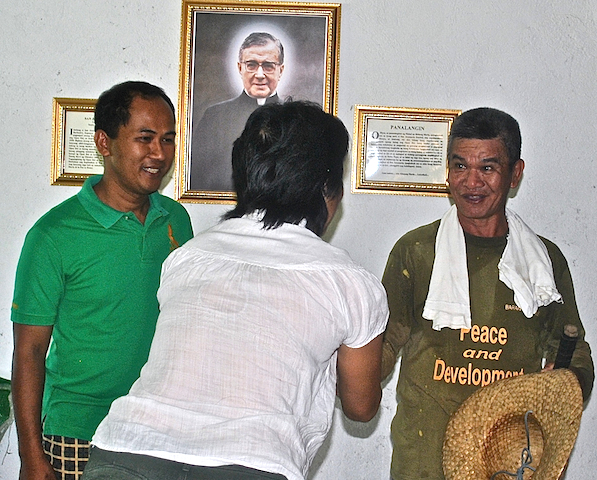 “Through the years, TFDP has worked with numerous persons and institutions that helped the organization in advancing the cause of human rights in the Philippines. 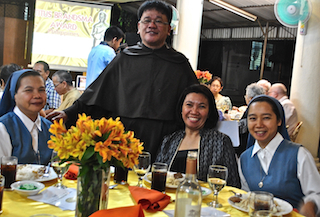 As TFDP celebrates its 40th year, it wants to pay tribute to some of the individuals and organizations who have been part of TFDP in its beginning years,” Order of Carmelites Father Christian Buenafe, TFDP co-chairperson, said during the awards ceremony. 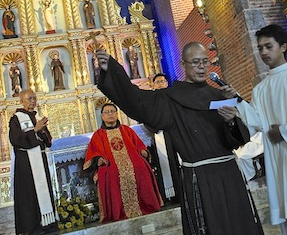 These people and institutions have dedicated “a substantial part” of their lives to human rights promotion, protection and defense, organizers explained in their announcement sent to Catholic in Asia. Awardees have shown selflessness, outstanding leadership and unfaltering commitment in furthering the cause of human rights. Their efforts have provided significant contribution to the promotion and defense of human rights and their pioneering endeavors have helped in the progressive realization of human rights, the TFD awards announcement added. 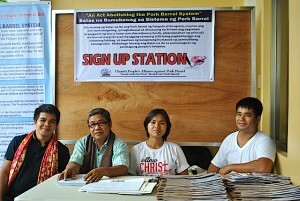 The event – rescheduled from December – also opened the organization’s 17th National Convention. 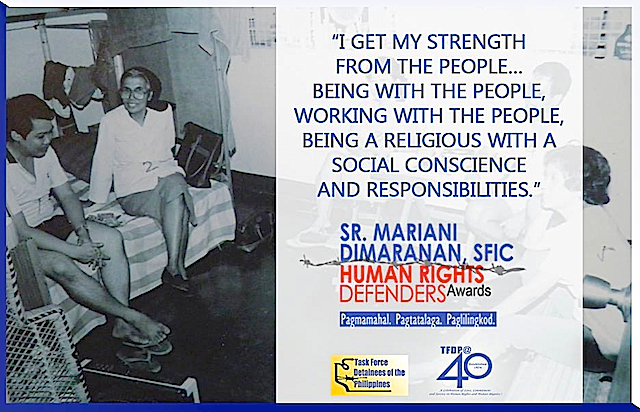 See posters of human rights defenders on TFD’s Facebook account. 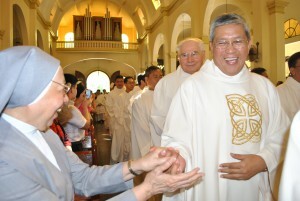 (Vatican Radio) Pope Francis issued a letter for the Year of Consecrated Life, which will start throughout the universal Church on the first Sunday of Advent, 30 November. The observance will end on the Feast of the Presentation of Jesus in the Temple, 2 February 2016. In his message, the Pope underlined the aims of the Year of Consecrated Life, namely to look to the past with gratitude, to live the present with passion and to embrace the future with hope. 1. We are called to know and show that God is able to fill our hearts to the brim with happiness; that we need not seek our happiness elsewhere; that the authentic fraternity found in our communities increases our joy; and that our total self-giving in service to the Church, to families and young people, to the elderly and the poor, brings us life-long personal fulfillment. 2. I am counting on you “to wake up the world”, since the distinctive sign of consecrated life is prophecy. With all your assignments, where do you live? When I’m in Manila, at night I stay in Ruhama. When I have a meeting that reaches until night time, I do not go there and sleep in RGS Provincial house. In a week I stay at Ruhama about 3-4 nights. But I find time within the week to stop by there. I also talk to the girls every now and then. 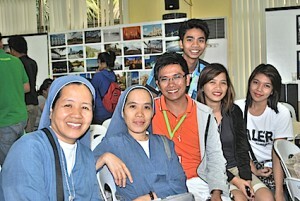 The past few weeks I was in the Visayas. 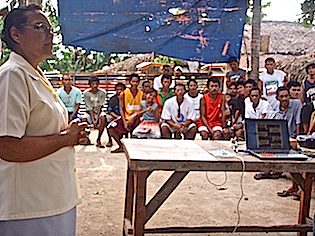 We have a big project in Samar to provide boats to fishermen, houses, there is parish work to do and advocacy for ecological justice. This is not a ministry of our congregation but a special project in the sense that typhoon Yolanda suddenly came about and we had to respond. I am the one coordinating it since the context of this action is within our ecological justice ministry. I am there at least five days a month. This last trip, I arrived here at the end of the month, so I rushed my report because if I don’t submit one for the month, I will not get my budget. When you were in school work, did you ever imagine you would be doing these lines of work? 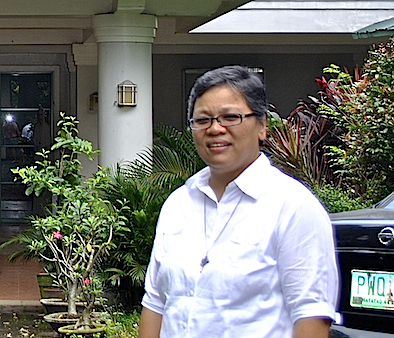 Before my graduation from my Masters in Educational Administration in 1996 in Ateneo, I was already in the Euphrasian residence as program coordinator for the youth services that we offered in the past. I was there for two years and I enjoyed it very much. I had 24 girls with me who were behaviorally disturbed. It felt like there were a hundred! 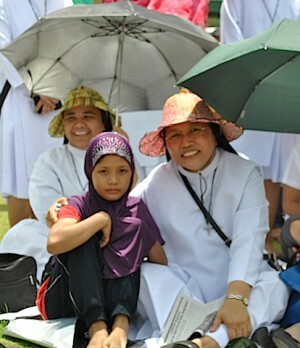 I was very energized by it because I think that’s a passion that I have as a Good Shepherd Sister. The young women were from broken families and some youths who needed help in dealing with issues of being adopted as children. I found that my training in education and my own personal interest in this kind of work helped to prepare me – in terms of my way of managing, my way of handling and dealing with people, my way of listening, my way of networking with people. 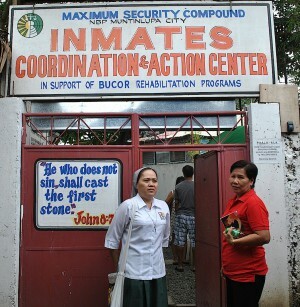 After that assignment I was asked to teach in our school in Batangas. I taught for several years and eventually I became the dean. 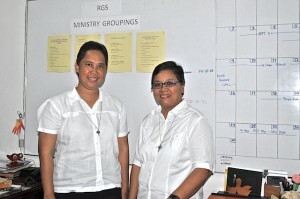 I also studied for a PhD in Educational Leadership and Managment from DLSU. I graduated in 2008. Did that interest in your younger days point you to RGS? I graduated from college at 20 years old then at 22 I entered the congregation in 1989. I was in high school when I told myself I will become like one of the sisters of the Good Shepherd school I went to in Batangas. I watched the sisters. I was amused by the way they dealt with us and I wanted to be one of them.Â I told myself then that one of these days I will be like them. Before then I taught for two years and as a classroom teacher I wanted so much to listen to the students and I acted on what they would tell me. For example, when they confided that their parents were quarreling, I called for the students and asked them more about their days. I did not know then that that was already preparation or part of my vocation. I don’t know if that’s my personality at that time. I just wanted to listen more and assist more. How do you manage all these tasks and look so unfazed? It’s a matter of prioritizing, planning. The big resource is attitude. One cannot allow herself to get too bogged down by the many demands. There are many things I still have to do, like writing up funding proposal for Ruhama. But first, I am going on a five-day retreat. That helps me also.